Simba Lion King VS Puss in boots. Big cat from 迪士尼 VS cat from Dreamworks. ^^. 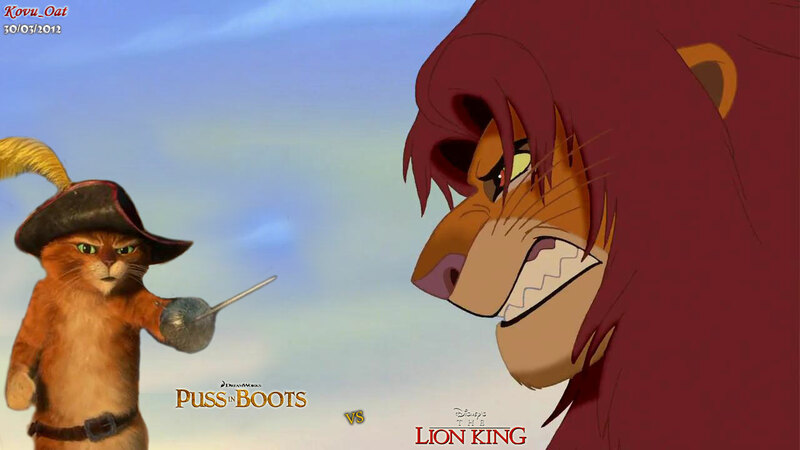 HD Wallpaper and background images in the 迪士尼跨界（crossover） club tagged: disney dreamworks simba puss in boot. Why do I get the feeling Puss is going to win?